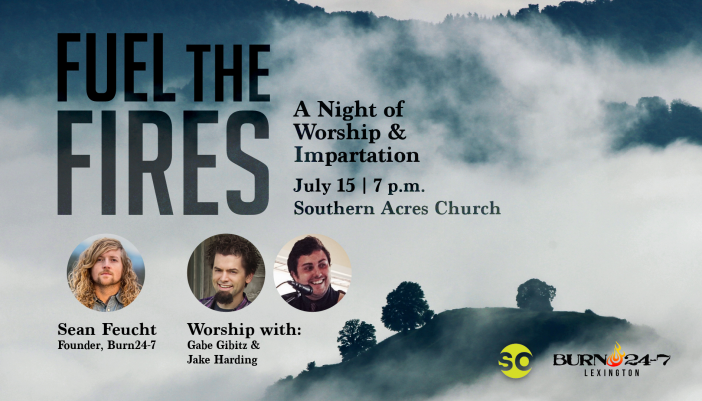 We are very excited to announce that Sean Feucht is coming back to Lexington for a special, one-time event in Lexington on Friday, July 15. He and his family are on their way to California to move out to Redding. Come out and bless the founded of Burn 24-7 while he is here!